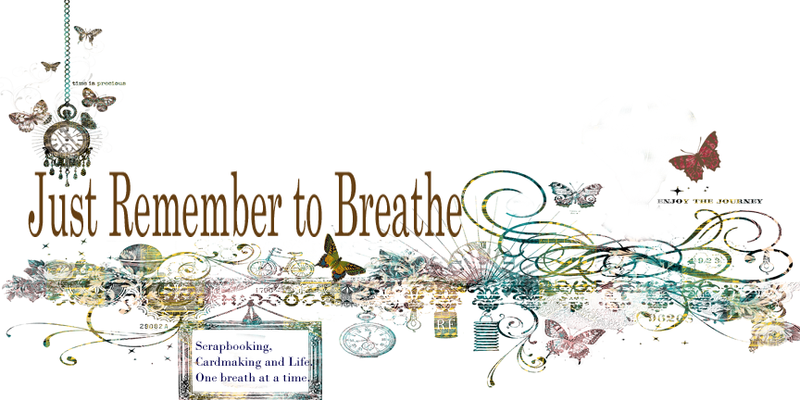 Just Remember to Breathe: Was I bored?? 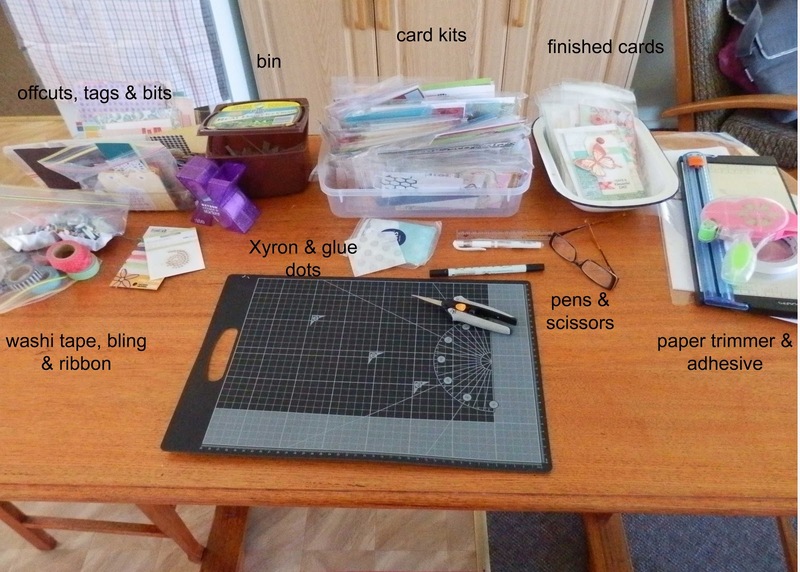 Now what you can't see is all the paper & embellishments that I had laid out on the spare bed in the next room and te stamping station I had on the kitchen bench. That meant that I would have to keep getting up to add bits & pieces to each card, so I didn't sit all day long....method in my madness. I then had lunch outside (fresh air & sunshine) and continue on with the cards until I had a break mid afternoon, where I would watch a tv show- I managed to watch seasons 6 & part of 7 of Psych and seasons 1 & 2 of Rizzoli & Isles. Continue on with more cards, then pack away for the night. I would then make dinner and settle down to watch a movie - Bridget Jones-The edge of reason, Wimbledon, Notting Hill, Love Actually, Pride & Prejudice (Matthew Macfayden version),The Notebook, Dear John, Sherlock Holmes-Game of Shadows, The Back Up Plan,Leap Year, 50 First Dates and Death at a Funeral. Some of these (for those of you who pay attention to such things, may notice) I watched either last time or the time before in isolation, but you can't beat a good chick flick (or even a bad one). Then off to bed and go through the whole thing again the next day....so in answer to the question: No I wasn't bored, I just kept busy and tried to make the time go as fast as possible. I love seeing how wonderfully organised you were with your card making. The layout of the materials on your table is spectacular enough but the stamping station and laying out on the bed is brilliant. I take my hat off to you Peta. You created a routine and stayed active and focused during a very difficult time. You made the best of what you could and added lots of life saving structure to your days. But then am i surprised??? No because each day I realise more and more what a truly amazing lady you are.